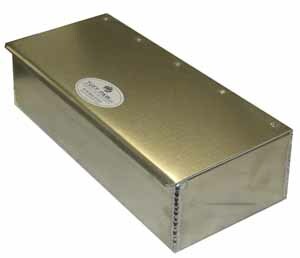 This Aluminum glove box is great for dragsters and door cars . Can store your tire gauge, gloves, shoe polish, etc.! It measures 12" L x 5" W x 3" Tall. Call for custom glove boxes.